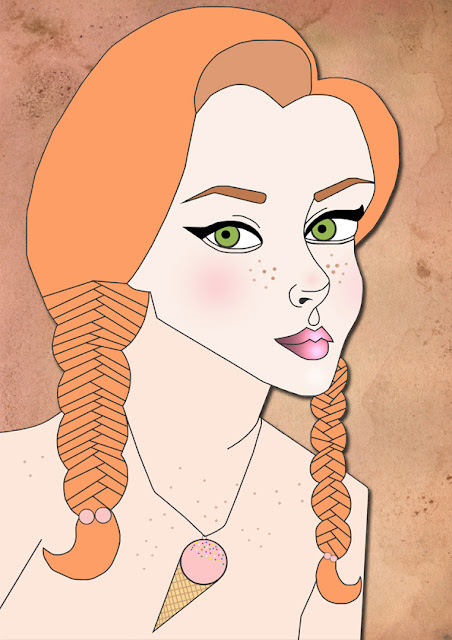 Here is a little illustration I finished this morning, partly inspired by all the cute 'ice cream' jewellery that I have been seeing around. I thought it would be fun to do a summery drawing seeing as the weather has picked up drastically as of late! 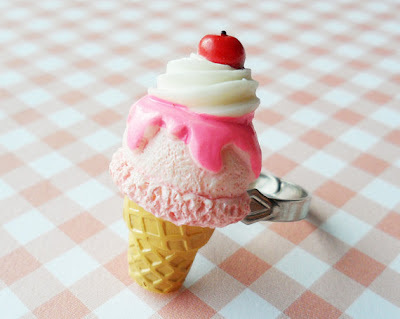 If you fancy picking up some adorable ice cream jewellery, then check out this awesome little ring I found on this Etsy store.